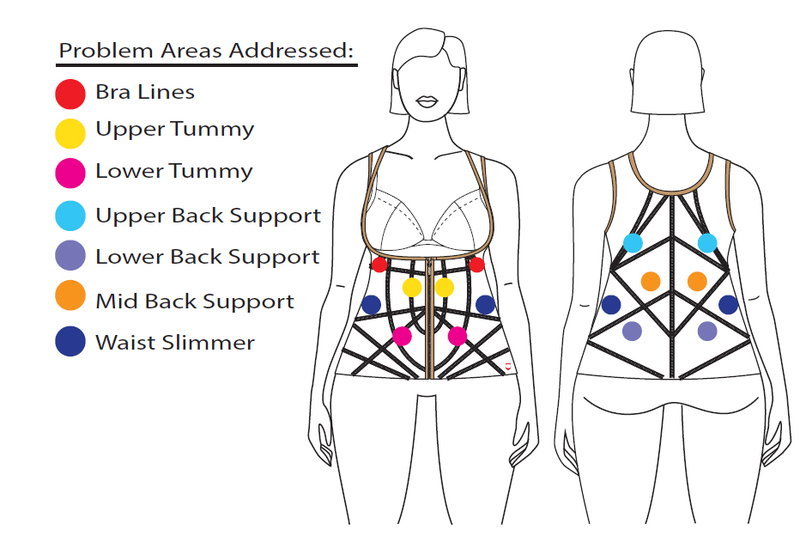 -If you’ve been struggling with wanting to reduce the bulges in your upper body, then the Empowering Cami Trimmer is the best plus size shapewear to provide a reform of your body as well as back support. -You can slim your waist and with the Empowering Cami Trimmer. -Made of breathable Power Mesh, we implemented an Innovative Cooling System, so you can stay confident and comfortable all day long instead of overheating. The Empowering Cami Trimmer is made with 20 different pieces of fabric that make compression zones to target areas of your body that need some reshaping. These are the best plus size shapewear because they are comfortable, breathable, and no matter the occasion you can wear them. This product will reduce the appearance of your bulges in your upper and lower tummy by lifting it, slimming your bra line and waist, while still providing back support for your upper, mid, and lower back. Get the smooth, svelte silhouette you’ve always wanted when you shop for the best plus size shapewear. This breathable garment is specifically designed to target women with upper body trouble areas. Our Empowering Cami Trimmer serves to cinch the waist, immediately reducing the appearance of lower & upper tummy bulges while simultaneously providing back support and reforming your bra line appearance. Please refer to styles 2205/2210, 3205/3210, 4205/4210 if you have lower body concerns.